Full disclosure: Staples.com provided me with this Keurig OfficePRO Coffee Brewer for the purpose of this review. All thoughts and opinions expressed are my own. 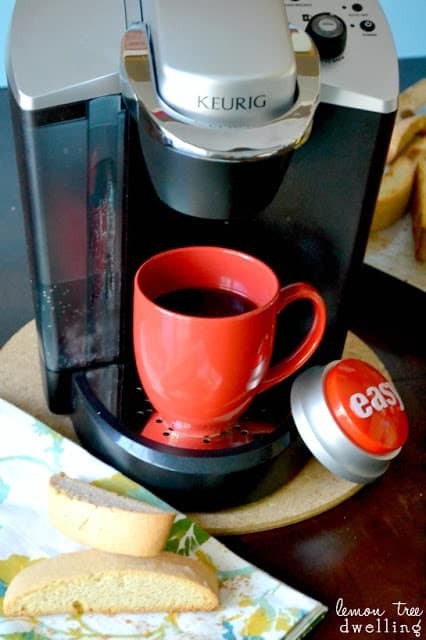 To see the full line of Keurig brewers and K-cups, visit Staples. Did I tell you that Staples got me a Mother’s Day gift? Pretty sweet, huh? It arrived in the mail about a week ago….and I can safely say it is my new favorite gadget! My coffee is reaaally important to me…so I couldn’t think of a better gift than this. And, although I shied away from learning how to use it for a few days, it actually couldn’t be easier! So easy, in fact, that I’m beginning to think coffee in bed on Mother’s Day might be a real possibility….! See….even though Jorden and I have been married for 8 years, and I have had a cup of coffee nearly every single morning of those 8 years….Jorden has yet to learn how to make it. I have shown him numerous times in the hopes of someday waking up to a fresh-brewed pot….but to no avail. Part of the problem is that he’s not nearly as much of a coffee addict as I am. In fact, until recently, he never really drank it at all! I, on the other hand, hung out at coffee shops with friends in high school, was a barista in college, and have since enjoyed a daily cup or two. I used to wish Jorden would sit and linger over coffee with me….but now that we have 3 kids, there’s no time to linger! Which is why the Keurig OfficePRO Coffee Brewer is my new favorite gadget. It’s quick, it’s easy, and it brews delicious coffee in a single serving. Just for me. After a simple priming process (less than 5 minutes with easy to follow step-by-step instructions), my new Keurig was ready to go. 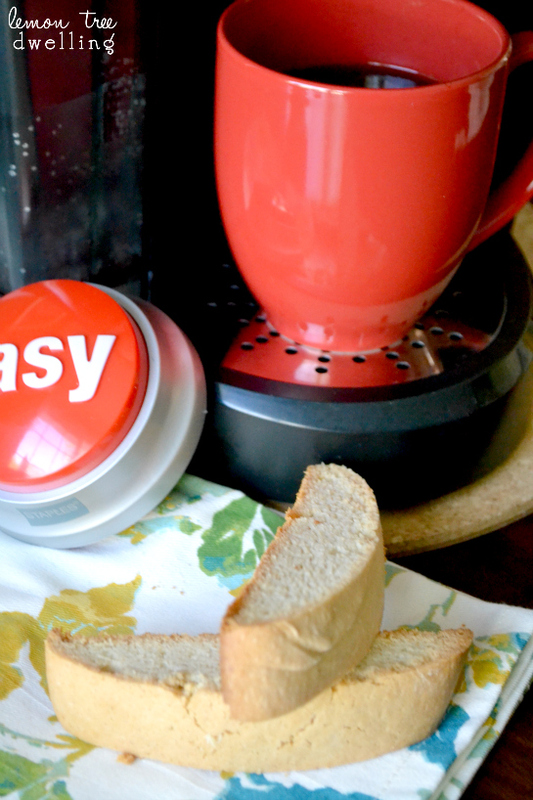 When I was ready to use it, I popped in my favorite – French Roast – and pressed the button. 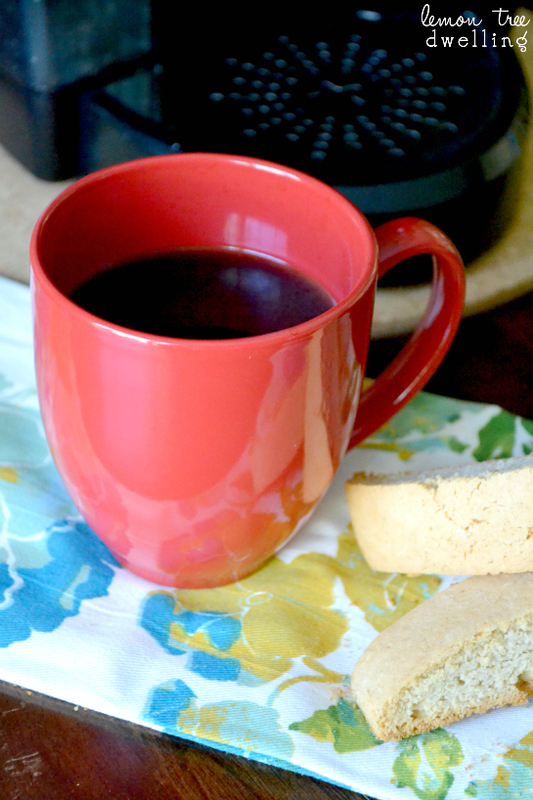 In under 1 minute, I had a steaming hot cup of fresh-brewed coffee! Amazing!! Then came the true test for a coffee snob like me: the taste test. The French Roast was rich, robust, and aromatic. Just how I like it. Jorden tried the Donut Shop and was equally satisfied. Since I have sampled a number of different types now, I can definitely say that the flavors are true to their variety and roast. And you can adjust the strength of your coffee simply by choosing the 6, 8, or 10 oz. brew option. I am impressed by the number of different K-Cup varieties available and can’t wait to check them all out! First stop: more French Roast! 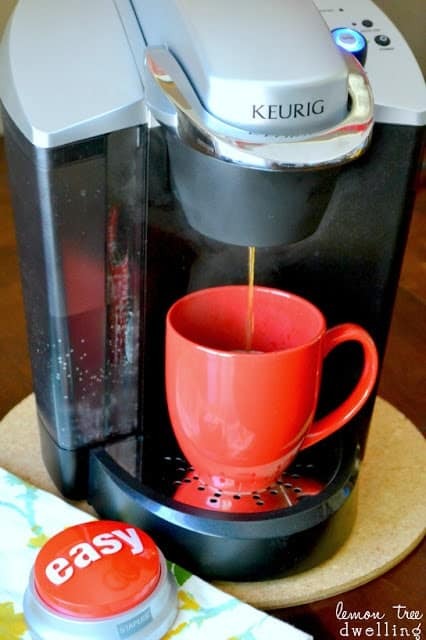 But first, let me tell you all the reasons my new Keurig OfficePRO from Staples was the perfect Mother’s Day gift. 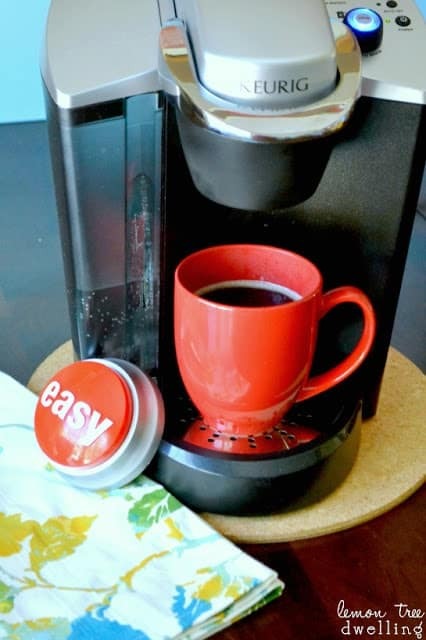 It’s user-friendly, easy to operate, super speedy, and mess free…..and it brews a delicious, hot cup of coffee just for you! Which, if you’re anything like me, is more than you can say for your husband!! I hope you get your cup of coffee and breakfast in bed too. Funny! I look forward to my coffee in the mornings. Sometimes I start looking forward to it the night before!